Travel agents know that the best way to keep a client happy (and to keep them coming back) is by securing them the best deals available. 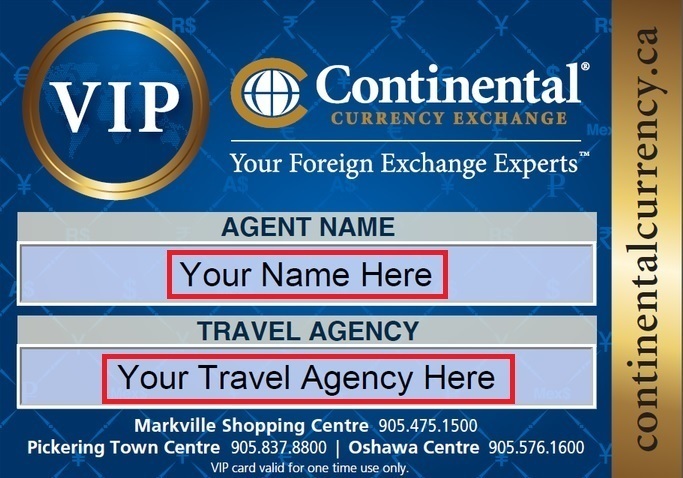 That’s why Canada’s largest independently owned and operated currency retailer – Continental Currency Exchange – has partnered with travel agents across Ontario to develop the E-VIP Card. Available as a travel agent exclusive deal, the E-VIP Card delivers clients the best rates on all their foreign currency exchange needs and better rates than the banks guaranteed. Plus, for every dollar exchanged by your clients, you will receive referral points which can be cashed in for a gift card of your choice. Simply contact Continental’s Travel Liaison & Development Manager Courtney Hepditch, for your free E-VIP card, download your card and issue it to your clients for exclusive deals. Check out the benefits to you and your clients, how it works, and how to get started today! 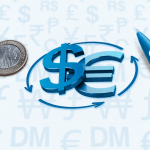 Earn 1 referral point for every dollar your client exchanges. Then redeem your points for a gift card of your choice. Provide your clients and their family with a new E-VIP card before every trip. When your clients are happy, they trust you and keep coming back! Send your E-VIP card to clients via email – no hassle for you or your clients, and no need for a face to face meeting! Getting and issuing your own E-VIP card is easier than ever. Just follow three easy steps: download, customise and save! 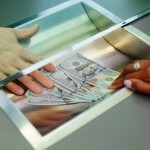 Save, Smile and Send, then Watch your Clients Save! No need to print – clients can simply present your E-VIP card on their phone and save!